Premier Dental Care (Watertown) - Book Appointment Online! 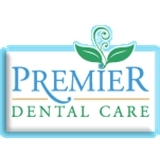 At Premier Dental Care, we provide you with the preventative and restorative care you need, without having to take off work or school. We also know that you'd rather not be driving all around town for various dental specialty services, so we have a convenient, one-location approach. It's just another way we show our patients how much we care. We always strive to find an appointment at the time that works best for you. Please fill out the form below to let us know when you would like to come in, and one of our staff members will call as soon as possible to set up your appointment. Was fortunate enough to be seen right away. Everyone was super professional and knowledgeable, while also being attentive and caring.